Arabian Organic Chemicals established its first international presence in the Middle East in 2008 as a key distributor and technical service provider for the supply and the distribution of organic chemicals to support a diversity of industrial applications in the region including construction, marine, manufacturing, automotive, oil & gas and other heavy industries. The company was established as a joint venture with Australian Osrganic Coolants, a leader in the development and manufacture or organic technologies with its head office in Cairns, Queensland Australia, with nationwide offices and manufacturing facilities in Sydney, Melbourne, and Brisbane. 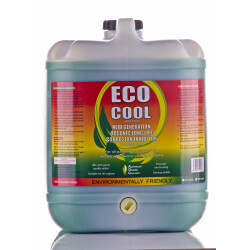 Eco cool inhibitor is a cooling system&nbsp;corrosion protection for all petrol, diesel&nbsp;and gas fuelled engines where anti-freeze&nbsp;protection is not required. Simple usage of product: Maximizes protection of all metals&nbsp;commonly used in cooling systems. Provides a unique inhibitor package&nbsp;suitable for mixed metal protection. Excellent protection against liner pitting&nbsp;and cavitation. 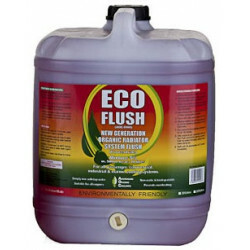 Extends water pump seal life by&nbsp;reducing dissolved solids in the coolant.&nbsp; Environmentally friendly and&nbsp;biodegradable. Organic Cooling System Flush is a quick&nbsp;safe and efficient cooling system cleaner in&nbsp;easy-to-use liquid form, for removal of light&nbsp;corrosion, scale and sludge from cooling&nbsp;systems. Simple usage of product: Easy to use liquid form. Environmentally friendly product, with&nbsp;zero toxicity. 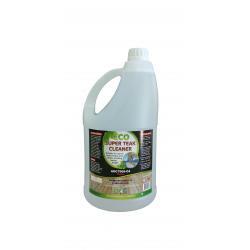 Effective for cleaning of light deposits&nbsp;without harsh acids or alkalis. Can be left in the system for extended period without effecting cooling system components. 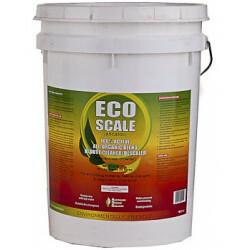 Eco scale concentrate is a Heavy Duty&nbsp;Organic Cleaner/Descaler is a unique,&nbsp;100% active, all-organic blend which&nbsp;has been specifically formulated for the&nbsp;removal of scale, corrosion and sludge&nbsp;from cooling systems, including radiators,&nbsp;heat exchangers and desalination plant&nbsp;pipe-work. Benefits Easy to use free-flowing powder form. Effective cleaning of mineral scale,&nbsp;corrosion products and sludge. Contains corrosion inhibitor to protect&nbsp;base metals.&nbsp; Contains indicator dye to make cleaning&nbsp;more efficient. 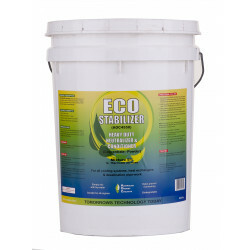 Eco stabilizer concentrate is a Heavy Duty&nbsp;Neutralizer and Conditioner is a blend of&nbsp;alkali&rsquo;s and corrosion inhibitors to be used&nbsp;in conjunction with AOC 4500 Heavy Duty&nbsp;Organic Hybrid Descaler. Simple usage of product: Safe and easy to use. Effective neutralization of acids. Conditions metal surfaces in the system. Removes any accumulated oil deposits. 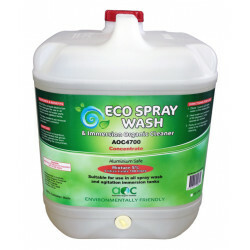 Eco Spray Wash and Immersion Organic&nbsp;Cleaner is a liquid alkaline low foam&nbsp;detergent for use in high pressure hot water&nbsp;parts washers and agitation immersion&nbsp;tanks. Simple usage of product: Easy to use liquid form. Provides excellent protection grease and&nbsp;from metal parts. Gives short term corrosion protection. As this product is not classified as a&nbsp;dangerous chemical it can be stored and&nbsp;used without restrictions. Biodegradable. One-step application to preserves timber in a natural look. Suitable for use on teak&nbsp;furniture and decks, including marine timber. It is a water based, biodegrable teak cleaner that super cleans&nbsp;teak, any form of timber, outdoor furniture, decks &amp; especially marine timber. It draws the contaminates out&nbsp;of the timber &amp; simply washes off with water. Also suitable for spot cleaning of any unexpected spillages. It not only super cleans but it helps treat &amp; preserve the timber. An oil can be used over the top to give a wet look or change in colour. Simple usage of product: Pour the product into a bucket, use straight (do not add water). Dampen the area. Then use a clean medium to strong bristle brush, apply the product and agitate until all contaminates are&nbsp;removed from timber. Finally simply rinse thoroughly with water using a hose &amp; leave to dry naturally &amp; if necessary you may&nbsp;spot clean any areas missed by repeating the above.